A cake to kick start the new year! Hope u all rocked this years New year celebrations! The white snow cake was chocolate devil cake with marshmallow frosting.Thanks to Lidia for the lovely codettes..they really matched my snowmen..:D The santa cake was yellow butter cake with chocolate frosting. Wowww sooo gorgeous and damn cute looking cake..Happy 2011 to u and ur family..
Nimi, the cake is sooo cute , jus like u! Thnnxxx a ton for being part of the giveaway! Thankyou for sharing. If you have time feel free to drop by my blog. i have pics from the culinary olympics in germany… so inspirational! 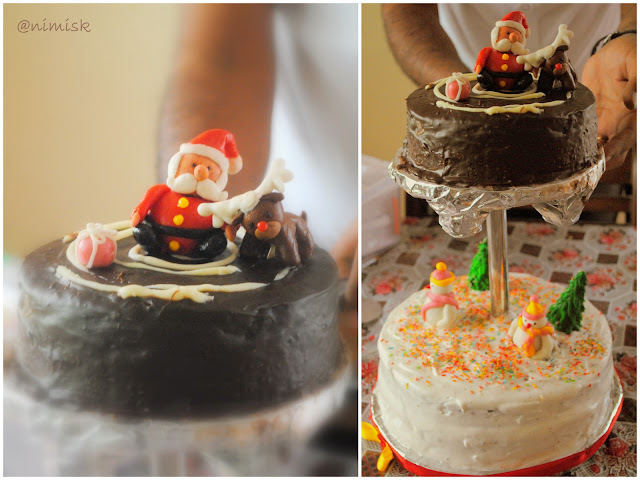 « Previous post link Christmas n Cakes!